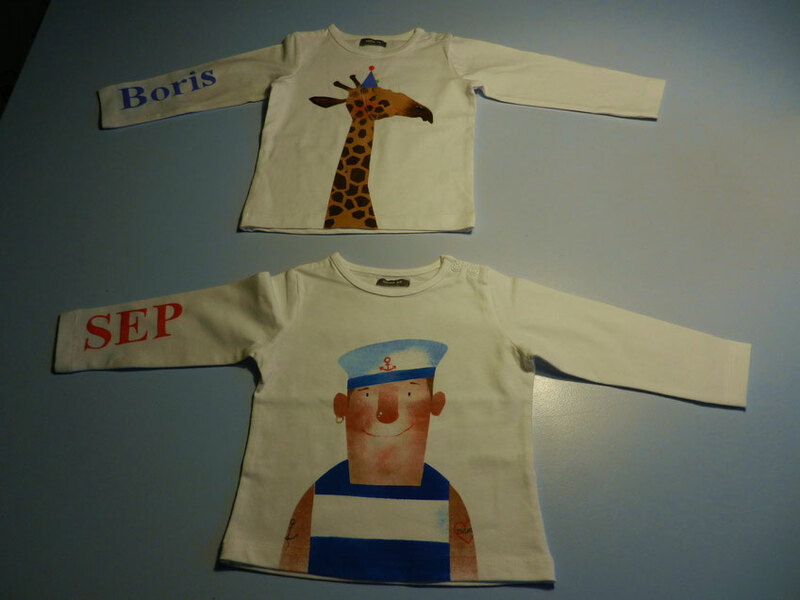 I regularly make T-shirts for (newborn) baby's on commission. It is possible to have them personalised. For this I use letter stamps that I purchased a few years ago. They are getting pretty worn, and need replacing, but I can't find them anywhere anymore. And if you would like to order a T-shirt, please send me an email.